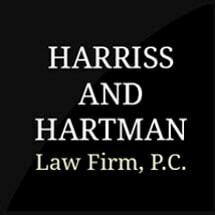 Harriss and Hartman Law Firm, P.C., provides the highest quality and most personal of services for you. While located in the small town of Rossville, Georgia, our attorneys provide general practice legal representation throughout northern Georgia. We know the people of this area and want to give back to the community. Most of our business comes through word of mouth. Clients often receive referrals to us from other members of their family who we've helped in the past. Our attorneys also know the doctors, accountants and engineers in the area who we frequently use to assist in your case. We do not hand your legal representation to a paralegal or other office staff member. When coming to our firm, you will work directly with one of our lawyers. They will provide you a free initial consultation and give you a precise assessment of your case. Our attorneys and office staff will keep in constant contact with you until your matter is finally and satisfactorily resolved. Harriss and Hartman Law Firm, P.C. is there for you. We opened our doors in 1972 and have been committed to resolving our clients' legal problems since that time. Our attorneys have more than 100 years of combined legal experience. Whether you’ve received injuries on the job or during an accident, are going through divorce, experiencing financial difficulties or experienced arrest, we will work to improve your circumstances and help make you whole. Harriss, Hartman, Aaron & Wharton, P.C.